Do you find yourself scrambling at the last minute when preparing for your summer vacation? Are you searching for websites, digging through your email inbox, wallet, or handbag for notes and itineraries at the eleventh hour? Do you write checklists that eventually get lost? Do you worry that you might forget important details — like remembering your passport? If you need assistance organizing and planning, apps can help. There are several best-of-breed apps and websites for purchasing airline tickets, booking accommodations, and making reservations for attractions — but how do you organize all that information into one place? For example, how do you keep track of flight information, hotel reservations, car rentals, weather forecasts, meetings, and more? If this is your goal, the LifeTopix app for iPhone and iPad can help. Some travel organization apps allow you to forward confirmations from airlines, etc. to an email address and those apps compile your itinerary. If you’re like me, you might prefer that the itinerary is not compiled automatically because I don’t trust that it would be created accurately. I like to be able to locate the original itinerary as a PDF file or email, and I also prefer to see my travel information in context with everything else in my life. Our philosophy is to allow you to access all these items (and create them your way) — all in one place with everything else you are managing in your life. LifeTopix brings together all travel-related information under the Travel + Places topic. Trips, Visits, Places, as well as travel related Notes, Bookmarks, and Services can be accessed from this topic. Since Places, Notes, Bookmarks and Services are “touchpoints” into the appropriate categories under their native topics: People + Services, Notes + Files, and Bookmarks — these can be managed from either topic, based on the context you might be in at any given time. The slideshow below demonstrate the management of this information from multiple topics as relevant to the information being created. Today, with the LifeTopix app, you can compile your travel information from file attachments and bookmarks. You can also obtain those files directly from your desktop using LifeTopix AirAc­cess™. AirAc­cess is a pow­er­ful and effi­cient desk­top client that allows you to con­nect wire­lessly from your Mac to Life­Topix run­ning on your iPhone, iPad, or iPod touch. In LightArrow’s next major upgrade, 5.0, LifeTopix will directly extract those files and put them into the trip that you are planning — allowing this process to get even easier. 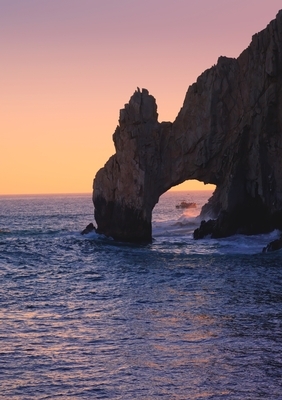 View the following slideshow to see how we’ve used LifeTopix to plan an exciting vacation to Cabo San Lucas. How do you stay organized when traveling? Please share your tips & tricks. Thank you so much for this info! LifeTopix sounds perfect for me! I’m tired of having to use ten different apps to do ten different things; they use up space on my phone and it’s just annoying to have to kept switching from app to app to app. Now, instead of having to have an app for my packing list, my ternaries, by travel points, photos and trip journaling, rental cars, airline info…all I need is this? You guys just made me a customer for life. Now, instead of having a screen full of apps I’ll have LifeTopix, my Kindle app, and this remote access app I picked up through my job at Dish. I use it all the time when I travel, whether I’m stuck in the airport just unwinding in the hotel. It lets me watch live or recorded programs off my home receiver anywhere I can get a wifi or 3G connection. It’s so perfect for fighting off boredom during layovers and delays. Thanks again though, LifeTopix is going to utterly transform my travel experience. Why Most To-do List Apps Are Doomed to Fail Why Are Your Coworkers More Productive Than You?